Please post them here! I know I love your Cutter armor and New Moon! They need to be shared! I've posted this before, but it's been a while. 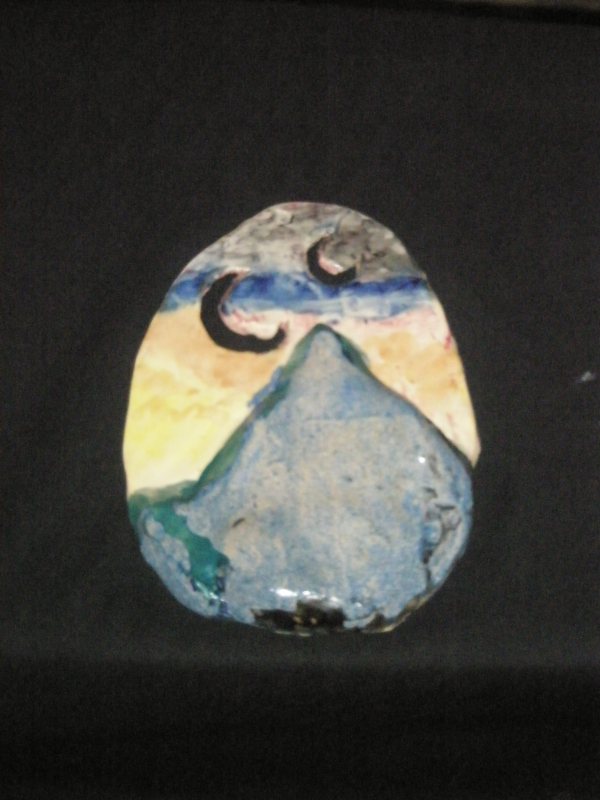 Here's my Blue Mountain in ceramic bas-relief. one day, i decided to create cardboard swords for me and my 3-year-old daughter to play with. 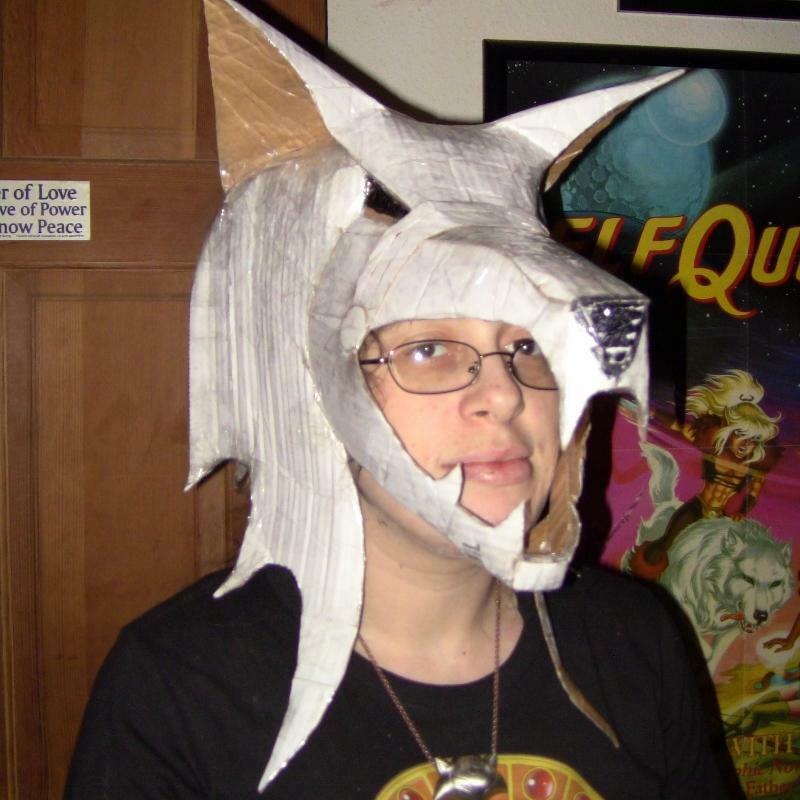 i started out with no intentions of making anything detailed, just a couple of pieces of recycled cardboard (from ordering EQ stuff from eBay, lol), simply cut and taped together with packing tape so we could play. 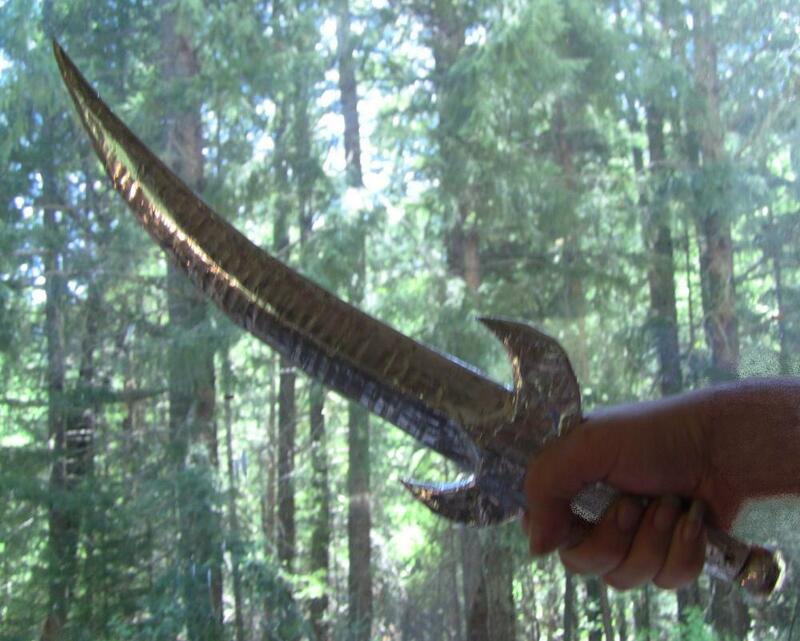 i made my daughter's sword, and just before i started making a simple one for myself, i thought, "Ah, what the heck, i'll make New Moon!" Nice one! I've never worked with ceramics before. It almost looks like it could be made into a piece of jewelry. Heather said: Nice one! I've never worked with ceramics before. It almost looks like it could be made into a piece of jewelry. I assume this reply was for me. Thanks! The ceramic piece is about the size of a hand - bit too large for jewelry. @devils_lil_sis you have awesome cardboard skills! Loving the detail with the key. Leanan said: I assume this reply was for me. Thanks! The ceramic piece is about the size of a hand - bit too large for jewelry. I have some pretty big statement pieces, so I wouldn't be against something that size around my neck! 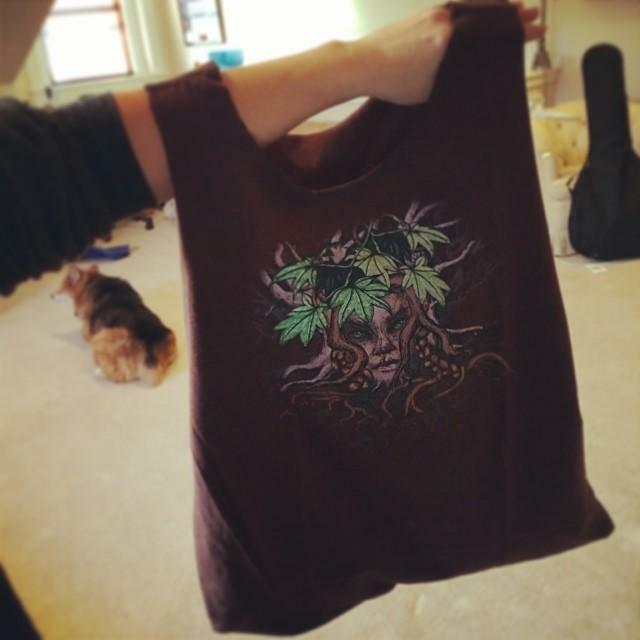 We had an extra shirt from welovefine.com and I decided to hack it and make it into a bag. It's a fairly easy hack and if you have the patience you can even do it without a sewing machine (however, I did use mine). I remember your Blue Mountain under the dark moons, @Leanan. Like to see it again. @devils_lil_sis Amanda? Told you that I LOVE the detail with the key! Would be great to see your armor show up here as the picture gallery is anot available for the moment. Definitely a unique bag, @Heather. Embala said: I remember your Blue Mountain under the dark moons, @Leanan. Like to see it again. Thanks. The moons are actually holes in the clay, so they're whatever color the background is. @Embala Thank you. I love unique. I for one welcome my fluttering overlords. Moths are messengers! @Nibblet That is fantastic! Love her! What a great idea and excellent work. Ok, that is AWESOME @Nibblet! Love the Joyleaf one too! Each one of these is so fantastic and filled with great personality. Great work! 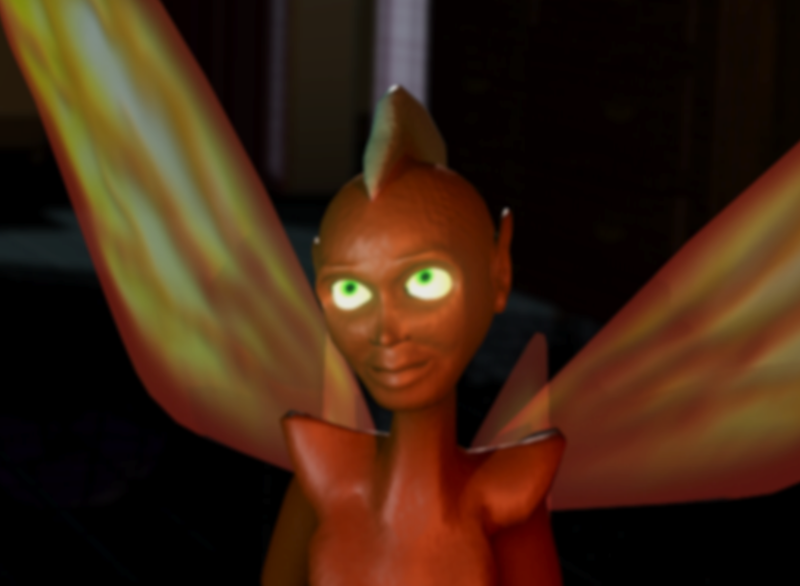 Ok, Ember is my favorite so far. Awesome work @Nibblet! @Nibblet These are absolutely brilliant!!! 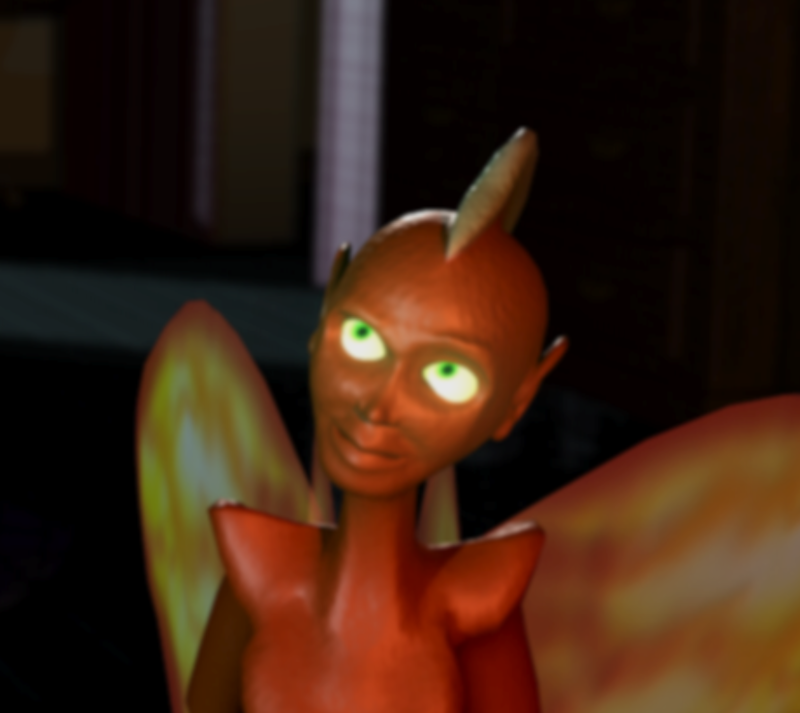 I love the Ember! I love the story you've got with them! So adorable!!!!!!! 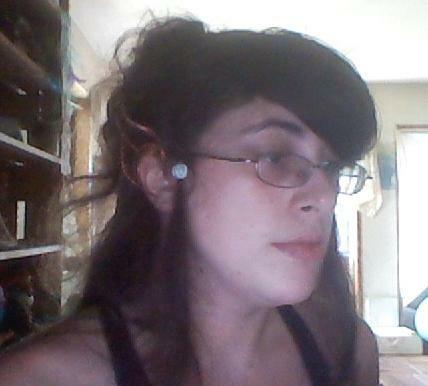 You know @Nibblet, those are awesome! When I was 15 years old my family took a cross-country train trip and made a stop in San Antonio, where I met one of my online holtmates IRL, as it were. Spent a day with her and for some reason we found ourself in K-Mart or Target or something like that, and buying white sneakers and fabric paint. We went back to her house and she painted a pair of plain, white canvas sneakers with the WARP logo in vibrant yellow moon and blue wolf. and of COURSE, i had to make the sheath for it too, so here's the finished project all together! once finished, the materials i used were recycled cardboard, packing tape, aluminum-foil tape, several cleaned chocolate wrappers to start the pommel's ball-shape (lol), a couple of short pieces of crafting wire (to help hold the key straight and so that i could easily straighten the top of the blade after battles with my daughter, lol) and for the sheath's coloring i used a blue Sharpie marker with clear top-coat nail polish on top to seal it and make the blue sections shine. as i said, i had to use objects i could find around my house, and the only thing i had to buy was the aluminum-foil tape, found at the local hardware store! here's my attempt at editing both a finger and my wrist-watch out of an image using the only pic-editing program i had at the time: good ol' Microsoft Paint, LOL!! 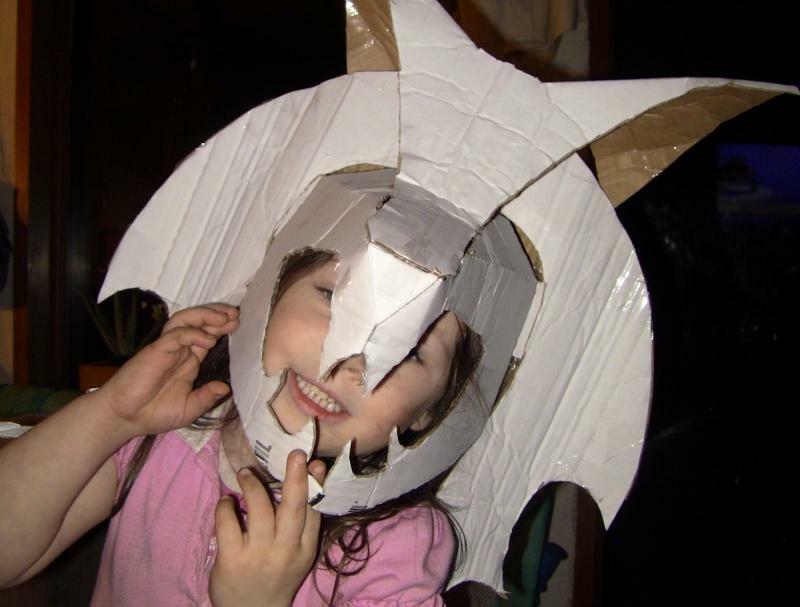 ok, so my next project was the Wolfrider helmet from the Battle for the Palace of the High Ones, here's my daughter modeling the first rough draft of the base (which i ended up not using this one and i re-made it, lol). she was growling and howling while she had it on! that's my girl! 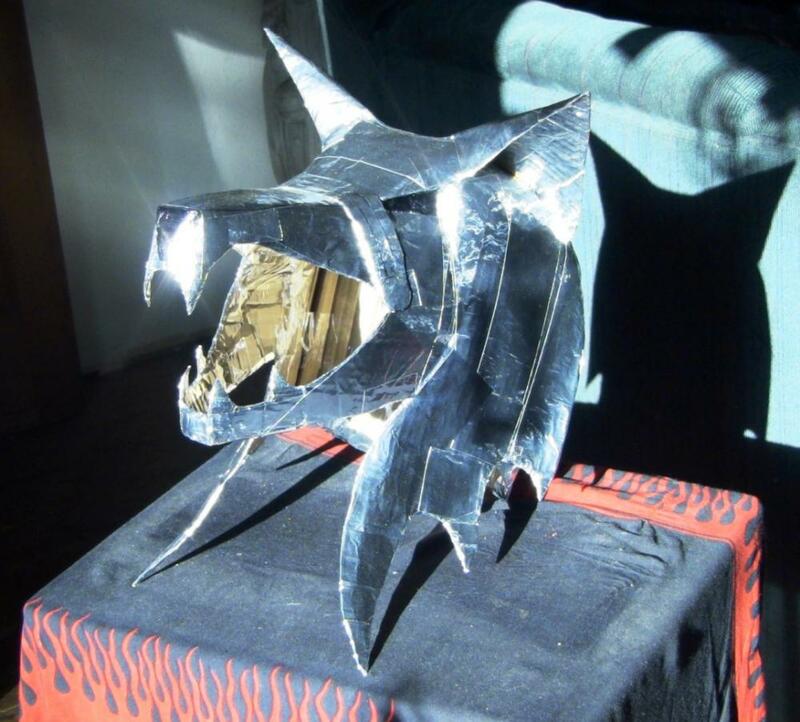 Here's the finished project with the aluminum foil tape! the total materials i used for this project were cleaned recycled cardboard (from pizza boxes, LOL), packing tape, aluminum foil tape, and a black Sharpie for the details. OK ONE more quick project (for now, lol) and then i'll end this long post (sorry 'bout that! 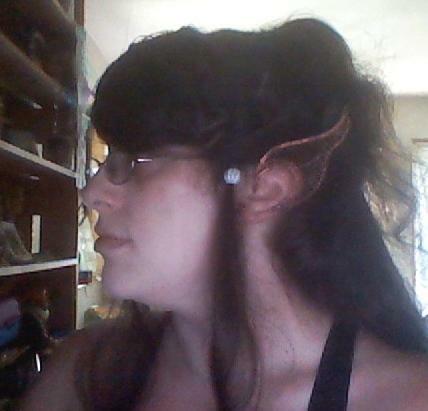 ); my ElfQuest earcuffs, made from copper craft wire! 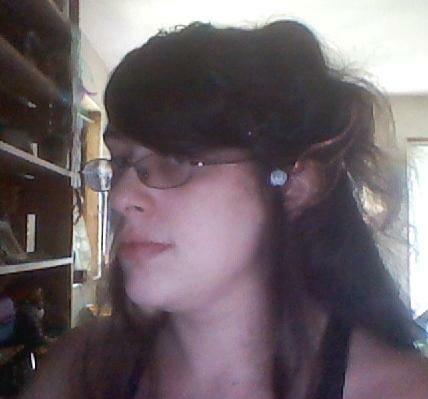 i made these for my Moonshade cosplay last year, therefore these were also practice runs for my Moonshade-styled hair, lol. I am still blown away but how you made all this. The amount of skill and creativity is amazing and you've got a little one at home (who is also a cute helper!). @devils_lil_sis Wish I'd find the words again I've commented on your picture gallery in the former site, Amanda. You did a terrific job with those! 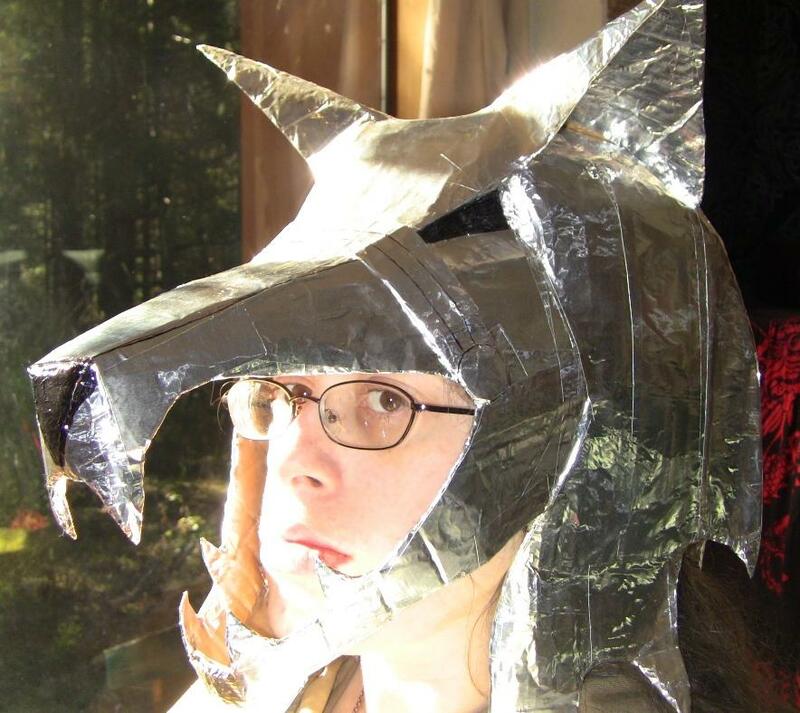 Your talents with cardboard are awe-inspiring! 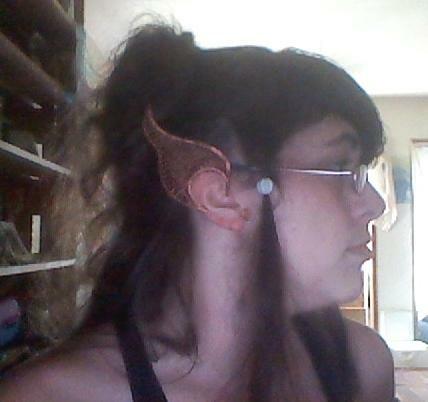 And those ear-thingies look great! 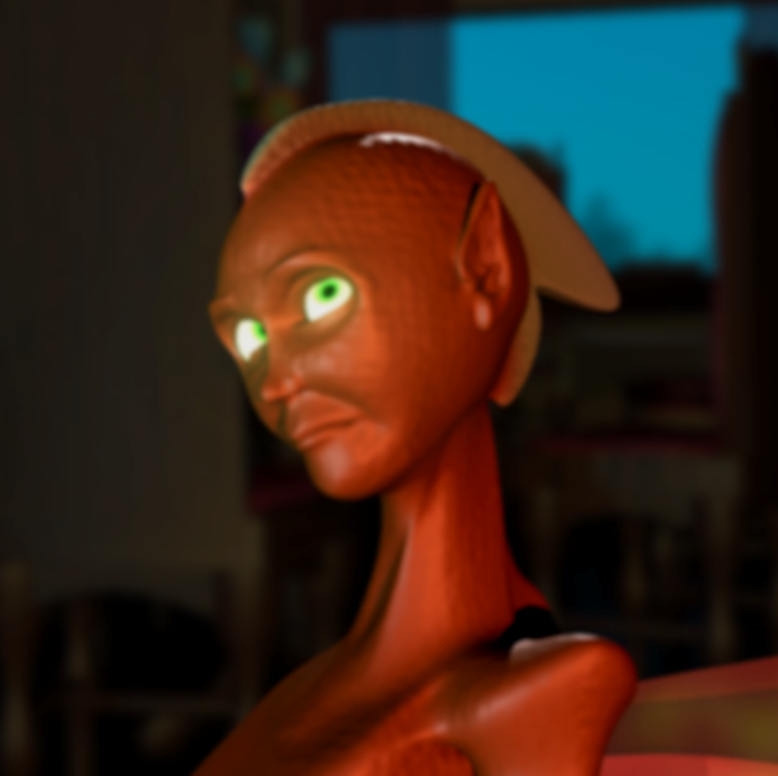 3D animated model that I created for a short film. SQUEE!! Another Preserver!! I love it!!!! *laugh* Yes, I'm as big into Preservers as @ChristinaRaibert is into Wavedancers. Oooohhh... O.O ... he's like a Persever/Elf hybrid - Rosie's "stepbrother". ;) Looks fab! I love the sceptical glance on the last shot. Sorry the pics are bad , I don't have a good camera any more. Kahvi! 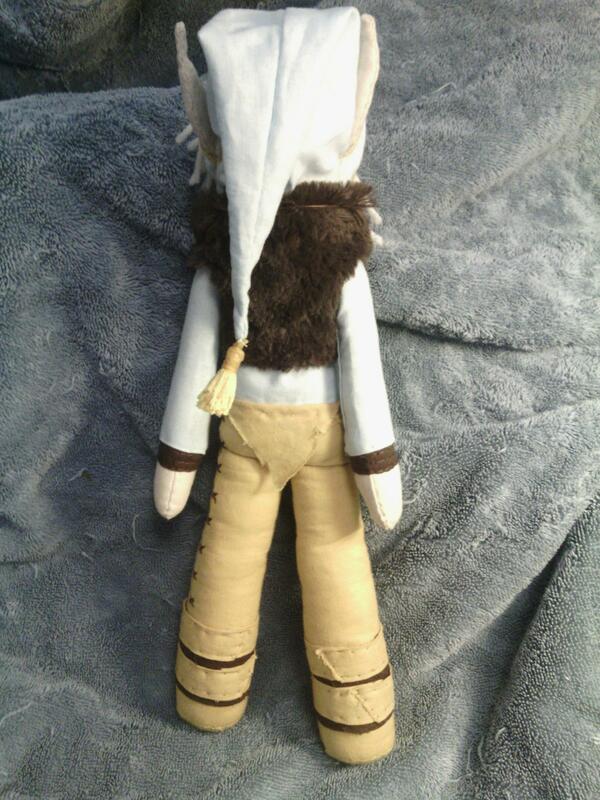 *claps* This doll is awesome, @zurcdurka. Is it made from felt? @Zurcdurka Fantastic work. Amazing detail as well. How long did she take? Oh wow. I want one! Thanks guys! I think it took about two weeks, few hours each day. I think I'm going to make Skywise next. zurcdurka said: I think I'm going to make Skywise next. zurcdurka said: Thanks guys! I think it took about two weeks, few hours each day. I think I'm going to make Skywise next. You are a fast worker! Especially will all that detail. 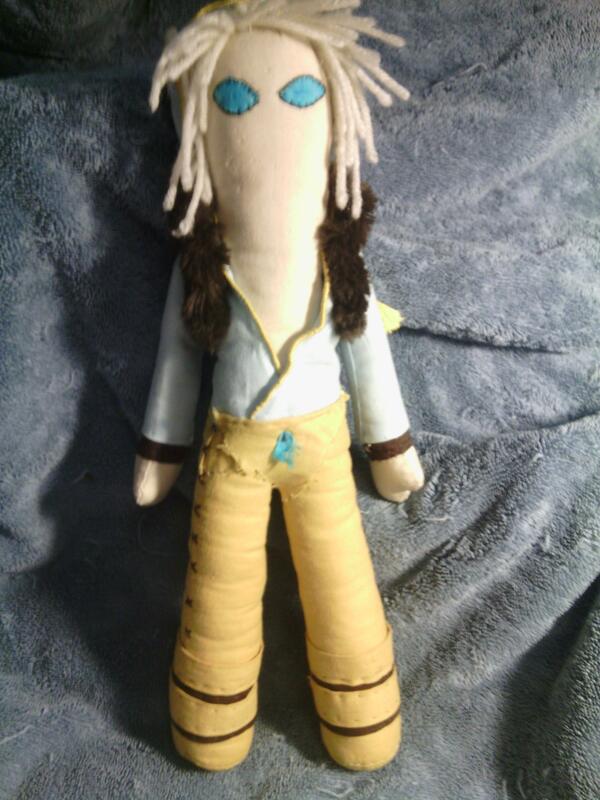 I've only made a few dolls in the past and it took me ages and didn't look half as good. I am much better with plain old cross stitch. I can't wait to see Skywise! My favorite elf! YAY Skywise! 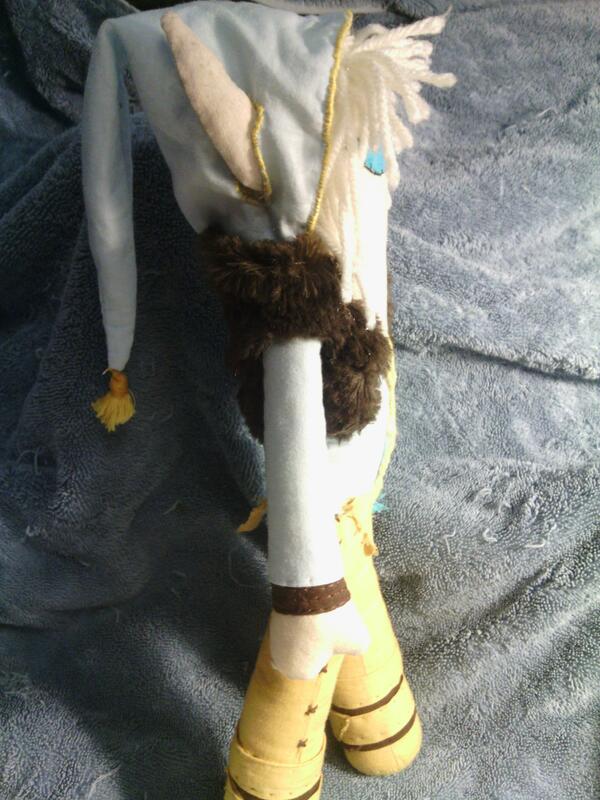 He's fab - complete with headthingie and loadestone :) Great hair! Love the Skywise! The blue is a perfect match as well. Thank you ! 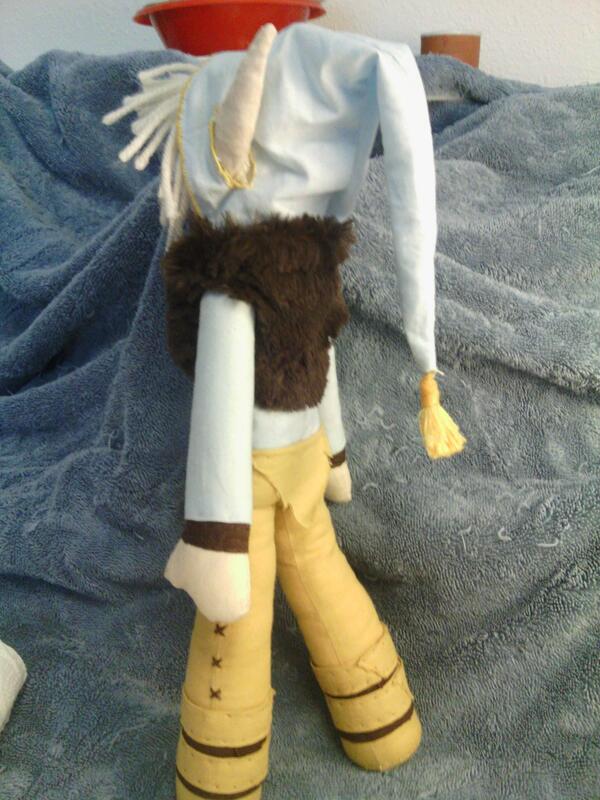 He was a little hard to make but very cheap, the blue and grey were left over from something else and the skin is white fabric dyed with tea. I only had to buy a half roll of yarn for the hair. Spent less then $2 on this project. zurcdurka said: He was a little hard to make but very cheap, the blue and grey were left over from something else and the skin is white fabric dyed with tea. I only had to buy a half roll of yarn for the hair. Spent less then $2 on this project. Usually when I have dyed with tea it ends up so much darker. Did you use a white tea or just leave it in a shorter amount of time? That is a great price for this project (or any really!). I wouldn't have guessed that at all. Makes me love it even more! It's awesome when you can make something so awesome and have it be so affordable. I dipped it in a brown tea really quick , hung it up to dry. Then a red tea to give it a pinker tone and then ran under water before letting it dry again. Cheers for the dyeing info. I would never have thought to do it that way. You know what I miss? His neckring! You need to get some golden ring in fitting size for him. Great attention for details. The golden seam for hood and shirt, theon the pants and boot straps. I totally like that you've only hinted his "fashion statement" by using a stylized piece of fabric instead of a real peacock feather. It goes so well with the style of the doll. Thank you Embala! I am having a hard time finding a ring the right size, might have to try thin wire twisted together or something like that. Thank you Marina! I'm having a lot of fun making them. They have only eyes for afew reasons, mostly l'm just not sure how to finish the faces, but I kind of like them like this. I just got what I needed for a leetah. She is going to be a challenge. Oh ya ! I like the eyes also. It gives the plushie a wolf en stare that is just a "perfect Fit" for these cuties.